We stock everything for the home and garden, including: hardware, camping equipment, cleaning products, cookware, DIY, ironmongery, gardening, gifts, glassware, outdoor leisure, paint, tableware and housewares. Providing timber & building supplies, including plumbing and electrical supplies for the Trade and the Public. The Yard in LLandovery is also where you will find our kitchen showroom with displays of some kitchens we sell. We sell a large range of modern, classic and shaker style kitchens to suit your budget. We will help you design your kitchen using specific kitchen design software which can show you how your kitchen would look before you order. 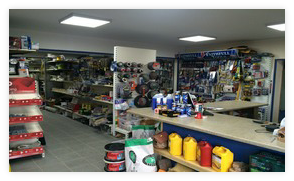 Providing timber & building supplies for the trade and public along with everything from the home and garden, including plumbing, electrical supplies, hardware, camping equipment, cleaning products, cookware, DIY, ironmongery, gardening, gifts, glassware, outdoor leisure, paint, tableware and housewares at our newly expanded shop. Hardware, bathrooms, camping equipment, cleaning, cookware, DIY, ironmongery, gardening, gifts, glassware, outdoor leisure, paint, tableware, housewares and Kitchens. We sell a large range of modern, classic and shaker style kitchens to suit your budget. We will help you design your kitchen using specific kitchen design software which can show you how your kitchen would look before you order. Please visit our Kitchen Showroom at the LLandovery Yard or call into any branch for further details. If you would like to view or purchase from any of our current consumer promotions, please click on the relevant image below to view the brochure.